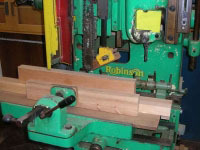 Used for producing square holes and tenons with the slot produced from overlapping the square holes. 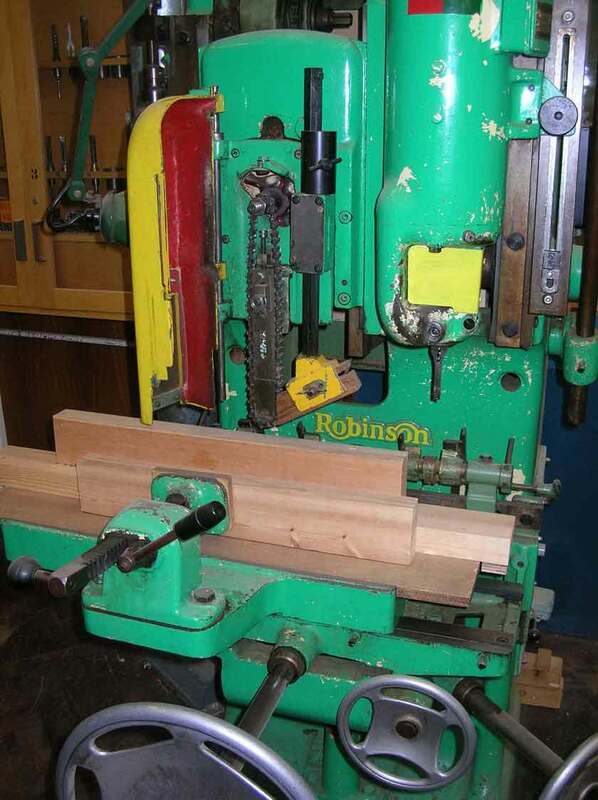 Similar in action to a pedestal drill, with a lever pulling down the cutter. 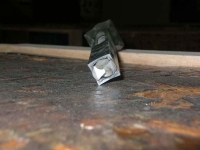 This action also operates a micro switch and starts the machine. 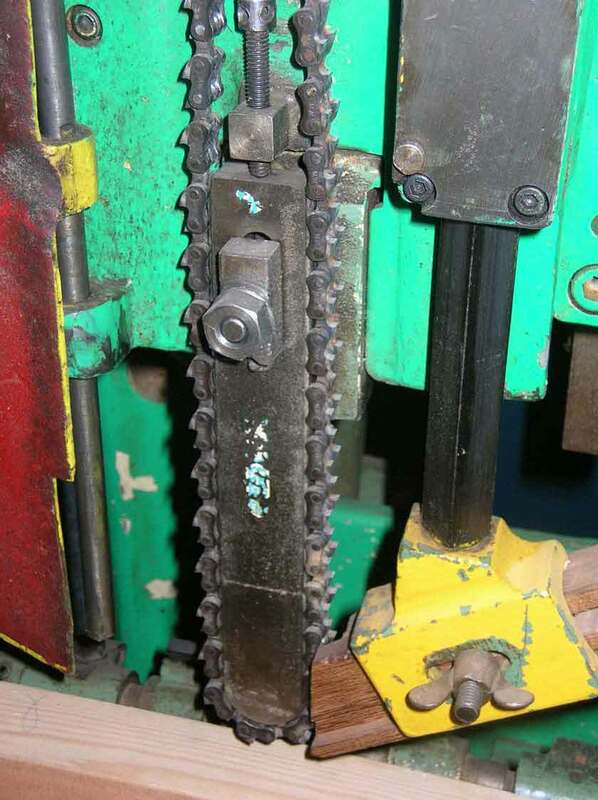 Generally a low risk machine, with the main danger being ejection of the workpiece when using chain cutters so it is important that it is clamped effectively. The workpiece should not be moved during cutting as this can break the cutter. 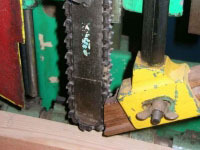 Therefore, the cutter should be withdrawn before the workpiece is moved. 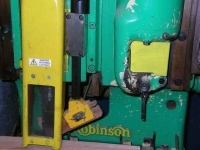 Another danger is accidental contact with the cutters so it is also important to switch off the machine when changing the workpiece. 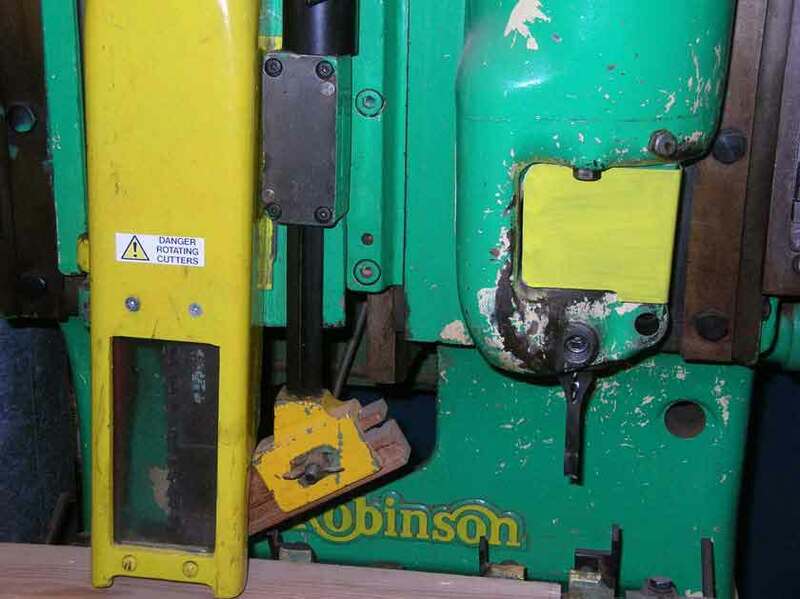 However, even accidental contact with the cutters when the machine is switched off can still cut hands.